While I think it could do a lot better with picking up vocals (the audio doesn't sound as crisp and smooth as it could), it does the job well for my brickfilming needs. I use the Blue Yeti Microphone myself. I really like it, the only thing is that I need to come up with a good pop filter for it. I also use a Blue Snowball. The pop filter is just one I bought off my friend for a couple dollars. I don't have a particular place for recording sound effects. I like it and most likely won't be buying a different one until it ceases to work. I have a Blue Snowball iCE, the cheapest of the Snowballs. Though I'm not a sound expert and I have yet to use the mic in any of my finished brickfilms, I have done some tests with the mic and it sounds pretty great. It picks up voices best-- I've tried recording Foley with it but high pitches come out a bit garbled. Nonetheless, it works well enough for Brickfilming, and it's what I'll be using in all of my future brickfilms. Used it for the last five years or so. Call me stupid, but I've never really used a pop filter or any special box or equipment. I usually just set it on the table/desk and kneel down so my face is about level with the mic. Yep, that's it. Also, if you want to Rio, you can generate a real poll for us to vote in. 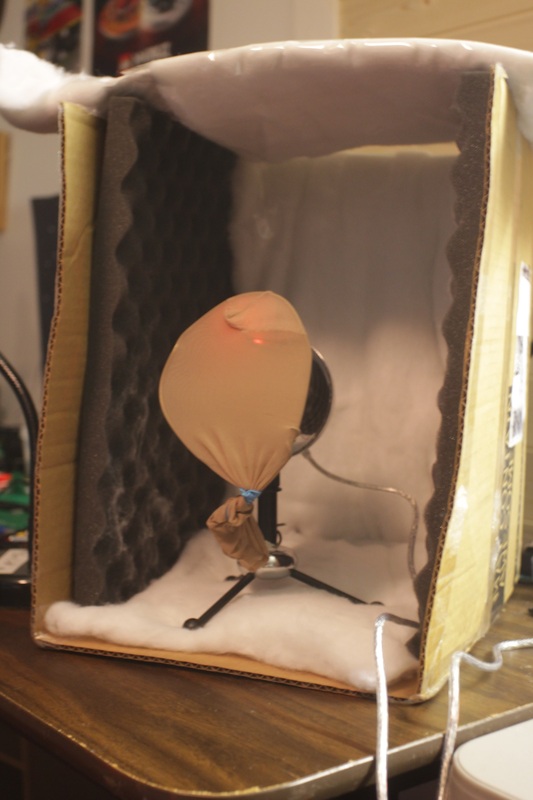 Same as Greenshirt's set up, a Blue Snowball (white version) with the same pop filter! I use an Audio Technica ATR 2100. I've had it for over a year, though I haven't really used it for voices until a few months ago. Sound quality is pretty good without adjustments. Music (instrumental & vocal) can fall a bit flat, though. Probably the best thing about the mic is the fact that you can record without a sound-deadening setup (besides being in a relatively quiet environment). Blue Yeti, no pop filter (I really should get one). I like the control it offers the user over gain and recording modes (I.E. Voiceover, Wildlife recording, etc.). I've been aboard the Blue Snowball wagon for years. I use it in all of film-scoring work, and it hasn't let me down. Great mic for the relatively low price. 9.5/10 would recommend this product to a friend, stranger, illegal immigrant, obnoxious president, xenomorph, xenophobe, xerox-machine, and anyone else one might come into contact with. Haven't we done this a few times already? 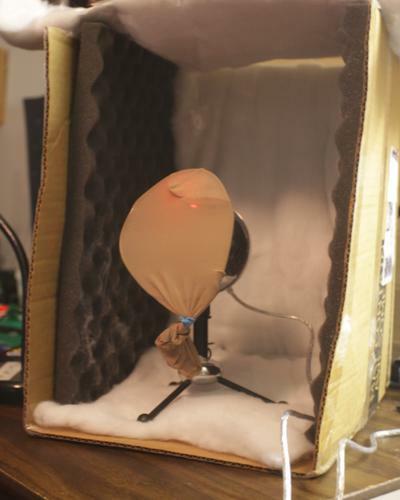 I use a Yeti with a pop filter and an acoustic foam backdrop I built (there's a photo on another thread in the audio forum somewhere). We use a Blue Yeti with a foam cover and a pop filter. We usually place it in our closet and surround it with blankets when doing voice-overs. I recently got the Blue Snowball iCE with a pop filter from Amazon, and it's great! I use an old Shure SM-58, the thing's probably 40 years old, shocks my lips if I get too close. It sounds great and will probably last another 100 years. No pop filter or anything like that, although after seeing Rioforce's setup, I may just have to splurge on a cardboard box and some pantyhose! I recently borrowed a Zoom recorder, H6 I believe, to record buses at Puente Hills Mall (aka Twin Pines/Lone Pine Mall from BTTF) for the Ninjago entry. That thing was a lot of fun, and the default stereo mic attachment sounded great. If there's any equipment on my wish list, that is it. I've been using a Blue Yeti USB mic for the last few years, aside from needing a pop filter it's pretty great! Blue Snowball ICE and a dragon pad pop filter. Only 47$ on amazon as a bundle. Works great when I tested dialogue on it, and I've heard it works well for instruments too.